The Vertix Raptor-i Bluetooth headsets offer motorcyclists the ability to communicate wirelessly and without background wind noise. The headsets are available as single kits, for both open and closed-faced helmets, and as a solo or two-pack kit. The sound quality is excellent up until highway speeds, at which staying near your partner becomes important, if he or she is on another motorcycle. The speakers are very loud, and wind and background noise cancellation is excellent. It’s quite easy to switch between FM radio, Bluetooth transmission (for GPS or cell phone talking) and your conversation with your riding buddy, all at the click of a button. The Raptor-i’s remote control and multiple handlebar mounts are noteworthy, however one of the two remotes came dead on arrival. It’s been a long time since we reviewed Bluetooth motorcycle headsets. 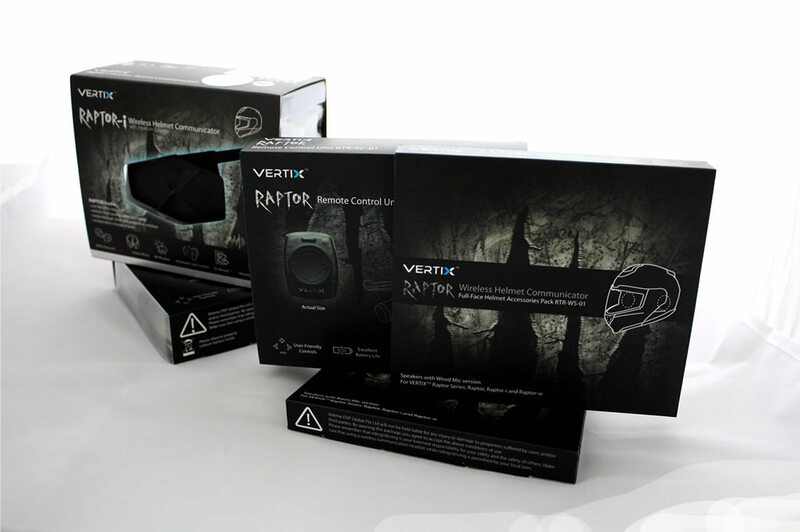 Our Scala Rider Q2 teamset of a few years ago are no match for the current generation of Bluetooth headsets, such as this offering from Vertix. 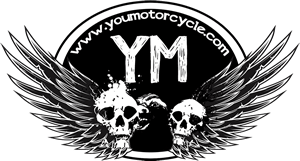 We welcome reader feedback on this and other Bluetooth motorcycle communication systems in the Comments section below. Let us know what you do and don’t like about yours, as well as any questions you may have. My buddy Pat had left Canada to spend a year and a half living in a purple minivan and driving across Australia. He had forgotten to bring his Honda CBR with him. The bike had been sitting for three years when I towed it in to my garage to put it on my motorcycle lift. We spent the next week restoring it to mint condition, then it was time to get out for a ride. 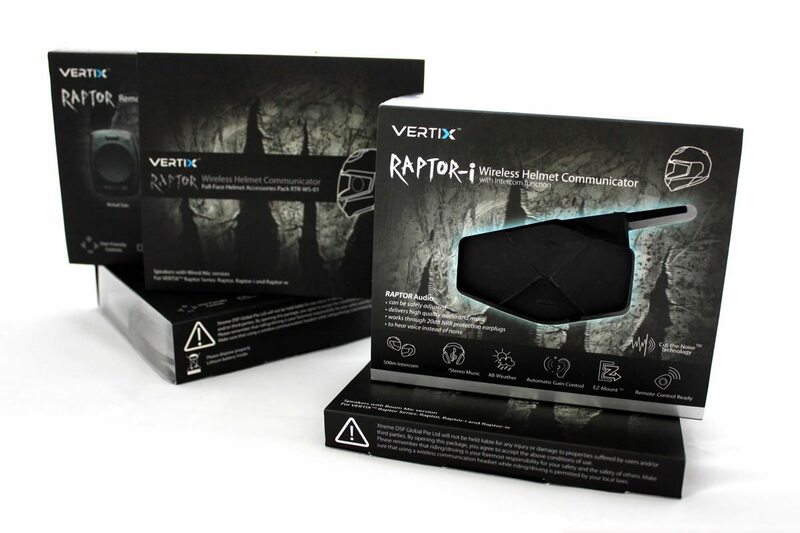 We ripped open the various packages of the Vertix Raptor-i. The instructions were pretty clear and easy to follow. We paired our two units, and then we paired them to our cell phones, streamed our music, controlled the song playback from the headsets, called each other, answered the calls, hung up on each other, and giggled like school girls with a new secret. We stopped to fumble with the handlebar-mounting remote control kit and noticed that one was dead on arrival. The other worked fine, however, being infrared, it needed to be positioned properly to function. Given that we didn’t care much for the handlebar mounted “push to talk” remote control, we chucked it to the side. Noise Cancellation up to 210 km/hr – Although we’ll have to say, this was with mixed results. Generally we were alright at highway speeds provided we stayed relatively close together. At city speeds the noise cancellation was flawless. Distance – 800 meters on the FM version, 550 meters on the non-FM version. Again, we felt that highway speeds had an effect. Installation was relatively easy, and probably would’ve been more easy if we hadn’t insisted on being so “manly” (or simply stubbornly ignorant) and figuring it out without the instructions. The product uses an “EZ-Mount™ system” and comes with adhesive and velcro options for mounting in your lid. Getting the right position and fit was easy on both full face and half helmets. Getting used to the system admittedly took some time. You can cycle through features and sometimes we ended up having conversations with each ourselves, rather than each other. Other times the voices at the end of the tunnel weren’t who we thought they were. Again, after carefully reading the owners manual, everything makes a lot more sense. So please, when you do buy a bluetooth communication system for your motorcycle, don’t be like us. Read the manual. It’s the lube that keeps you loving it. 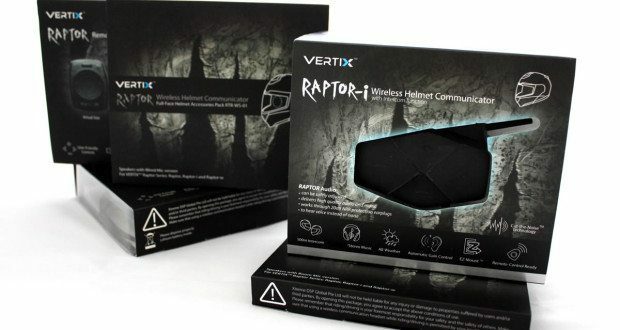 Personally I enjoyed riding with the Vertix Raptor-i Bluetooth Communicator immensely. I had previously used a Scala Rider Q2 Teamset for years and it always seemed loud, exhausting, and annoying. We toughed out the background noise of the Scala because it helped my ex and I to stay safe have fun. These new Vertix units were obviously benefiting from years of technological advancement and worked spectacularly in comparison. The battery was rated for 8-10 hours and we got about 6 in our first few uses. This may improve with us figuring out just what we’re doing, rather than wasting time trying to pair with each other. The units can easily be charged from your motorcycle should you add USB charging port to your bike (only about $18). The battery charged relatively quickly, and even a partial charge for the half hour before you leave can top up the battery enough to keep you chatting on most rides within an hour or two. Good: The unit just worked. The sound quality up until highway speeds was phenomenal. Then it got a little spotty. The range between units was a nice surprise. Bad: Packaging as three separate items just seems like overkill. Ugly: The remote control is a nice touch for those who are particularly afraid of taking their hands off of the handlebars to manage the units controls from their helmet. Unfortunately one of our remotes came dead on arrival. During the season, the Vertix gets a buy. At this particular time of year (Christmas going into 2016), you may want to hold and see what your local motorycle dealership has on sale. The Vertix Raptor-i Bluetooth headset does a good job of allowing motorcyclists to communicate wireless and without background wind noise. You’ll love it for travelling with a passenger or with a friend through urban or rural areas. The sound quality does take a hit when on two separate motorcycles at highway speeds. You’ll need to stay a safe distance from your riding buddy on the highway, if cars start to come between you it can get a little difficult to hear each other. If that’s not likely to happen on your rides than the Vertix Raptor-i Bluetooth Communicator is a unit you’ll appreciate and enjoy.